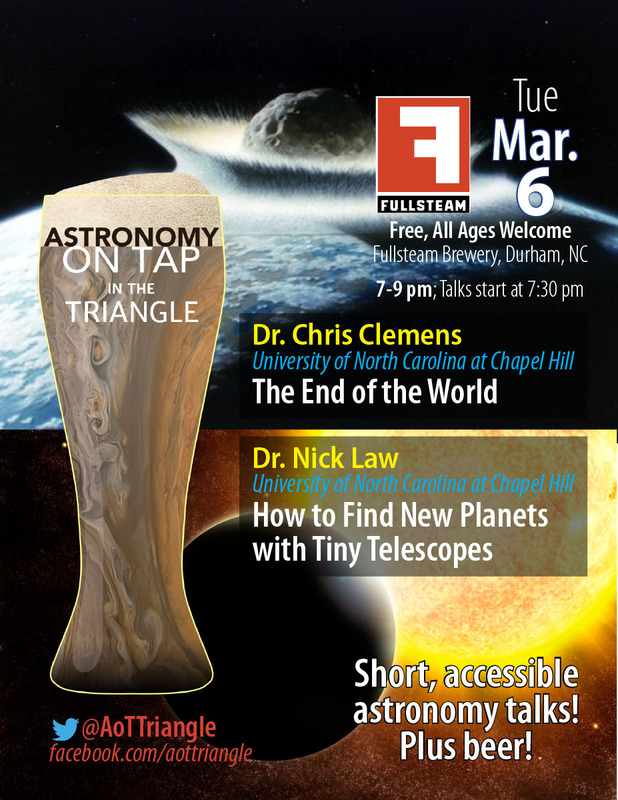 Join us for an exciting night of talks about astronomy at our sixth event of Astronomy on Tap Triangle, our North Carolina chapter of short, engaging talks about astronomy over beer! Our events are free and open to all ages, held at the taproom of Fullsteam Brewery in Durham, NC. On Tuesday March 5 we’ll hear from two professional astronomers in the Triangle. 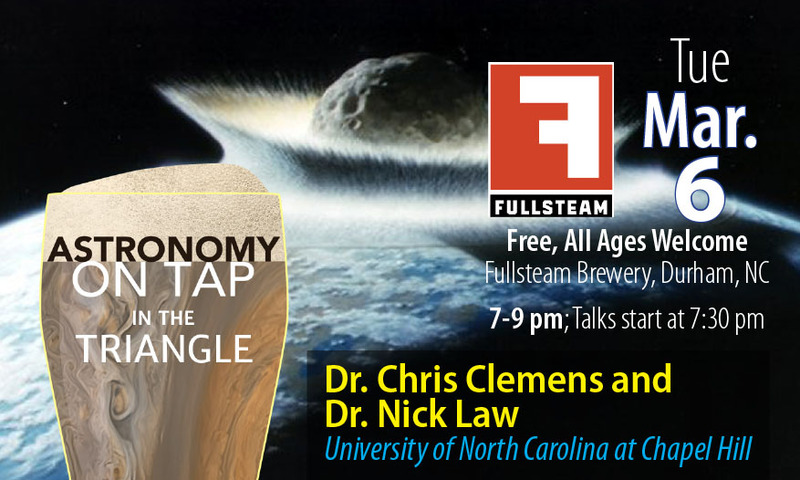 Dr. Chris Clemens*, Senior Associate Dean for Natural Sciences at UNC Chapel Hill, will talk about all the ways the Earth can end. 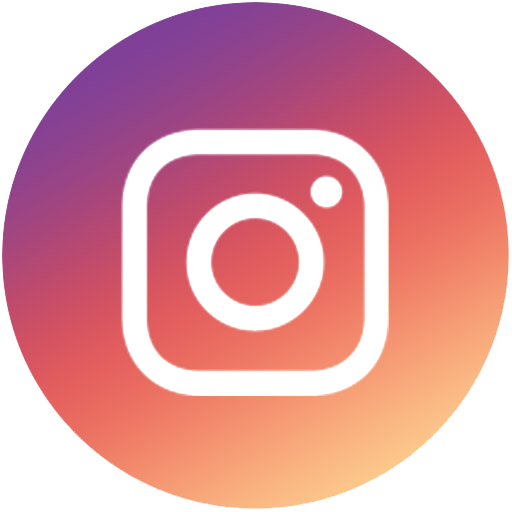 We will also hear from Dr. Nick Law**, Assistant Professor of Physics and Astronomy at UNC Chapel Hill, about how to find extrasolar planets with tiny telescopes! *Dr. Chris Clemens is the Senior Associate Dean for Natural Science and the Jaroslav Folda Distinguished Professor of Physics and Astronomy at the University of North Carolina at Chapel Hill. Dr. Clemens studies compact remnants known as white dwarf stars, the objects that form when ordinary stars like our sun run out of fuel and shrink to the size of the Earth. He also builds spectrographs and spectrograph components for observatories around the world. Dr. Clemens received a B.S. in astrophysics from the University of Oklahoma and a Ph.D. in astronomy from the University of Texas at Austin. He came to UNC in 1998 after completing a NASA Hubble Postdoctoral Fellowship at Iowa State University and a Sherman Fairchild Prize Postdoctoral Fellowship at the California Institute of Technology. **Dr. Nick Law is an an Assistant Professor of Physics and Astronomy at the University of North Carolina at Chapel Hill. Dr. Law’s group works to build new generation of very large time-domain sky surveys and adaptive optics instruments, with a focus on using them for exoplanet detection and characterization. His unique Evryscope is an array of telescopes deployed in Chile that points to every part of the accessible sky simultaneously and continuously, together forming a gigapixel-scale telescope monitoring an overlapping 8,000 square degree field every 2 minutes. Dr. Law received a B.A. and M.Sci. in Physics from Selwyn College, University of Cambridge, and a Ph.D. in Astronomy from the University of Cambridge. He came to UNC in 2013 after serving as a Postdoctoral Scholar in Astronomy at the California Institute of Technology, and a Dunlap Fellow at the Dunlap Institute at the University of Toronto. Our FREE Astronomy on Tap events features accessible, engaging science presentations on topics ranging from planets to black holes to the beginning of the Universe. There is always lots of time to ask questions and interact with the presenters and other scientists who inevitably stick around for the beer. 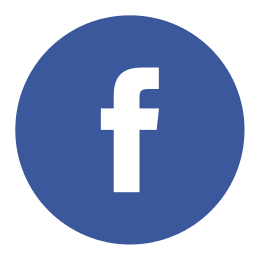 Be sure to follow us on Twitter and Facebook to get updates on future events! 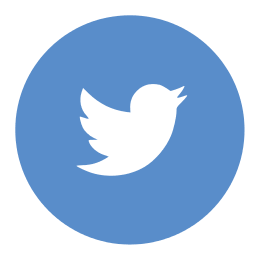 This entry was posted in Events, News. Donate to Astronomy on Tap! Even $5 will help us buy glow sticks and rubber gloves to use for digging through Neil Tyson's trash.